HTC One vs Lenovo K900 comparison:Â HTC is the renowned company who has earned its name by its recent products launched. The company has launched its handful of phones which are the present king of the android market. But we can’t ignore the other companies which are a tuff competition to the HTC as well as the other companies such as Samsung. Lets move to the detailing of both the phones starting fromÂ specification table, inner details, conclusion and price. 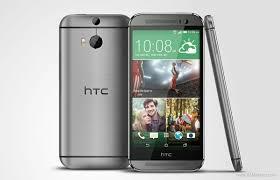 The HTC One features a 4.7Â inch-display with a 1920 x 1080-pixel resolution with a pixel density of 401 ppi. While the other hand rival, The Lenovo K900 Â features a 5.5-inch Super LTPS display with same 1920 x 1280-pixel resolution with the pixel density of 441 ppi. That meansÂ that Â the Lenovo K900 lead in terms of display size but HTC Â again don’t let our eyes to move away from it and impresses us with the better pixel density and the image resolution. The HTC One features aÂ 1.7 GHz, ARM Krait 300 with the chipset Qualcomm Snapdragon 600 fitted inside for better performance and intending for an affordable price tagÂ a Adreno 305Â GPU with a 2 GB of RAM. While the Lenovo X900 features a 2 GHzÂ Dual core Intel Saltwell HT Â as well as 2 GB of RAM. So here also HTC once again impresses us with its processor speed. So the HTC has an advantage over Lenovo X900. The HTC One features 8 GB of on-board ROM. AndÂ the phone is Â supported with a external SD card Slot with 128GB of expendability. A 12 GB and 60 GB of free Google Drive space is also given along with the ROM options. While the Lenovo X900 Â features 16Â GB on-board storage and with an external storage of 128 GB via external SD card slot.This means that Lenovo X900 offers more storage capacity than the HTC One. TheÂ HTC One features the same UltraPixel sensor (f/2.0 aperture) found in the original desireÂ phones, although it’s a better all-round performer than before. It also has a Duo Camera for depth perception which means that there’s a range of fancy features on offer and 4-megapixel rear camera with Â 2-megapixel (f/2.0 aperture) front-facing camera which is not good feature for this. On the second half, the Lenovo X900 miniÂ features a 12-megapixel sensor with fast 0.8 second capture speed and 2 megapixel front facing camera. The Lenovo camera is alsoÂ known for the best photography with its revolving camera Â and wide viewing angle, so the Lenovo X900 takes the lead in terms of camera.. This new added features lets you choose over Lenovo. The HTC One features Android 4.4 KitKat and have the upgrable feature to android lollipop 5.0 where as Lenovo X900 features with old version of operating system that is android 4.2 jellybean .So here again HTC has the latest operating system and this let us choose over Lenovo X900. The HTC Desire 816Â features a 2600Â mAh battery that is supposedly 40 per cent more efficient than the first HTC Desire phone, which could last up to two days with 2G services. HoweverÂ Desire 816 has added aggressive power saver options to make sure your device lasts the distance and it’s very impressive. The Lenovo X900 features a 2420Â mAh battery that will get you through the day. It also offers power saving features to match those of NoteÂ series phones. Both devices are a step above the previous generation, giving much better endurance. But in Â battery terms the HTCÂ takes the lead as it has additional features than Lenovo. The HTC One features a machined aluminium body that wraps around the sides making for a 90 per cent metal finish. There will be manyÂ colors available: Black, Gray, Pink, Yellow, Green, Blue, Red, White. It’s a triumph of design, it looks stunning and feels sensational to hold. The Lenovo X900 isÂ made out of metal, though it supports covering with corilla glass 2 which is dust resistance and added a new feature in this smartphone. TheÂ HTC OneÂ feels like the slicker device in daily use. The user interface is faster and although it has less options and features, the interface feels more sophisticated and mature. It offers class-leading sound quality, a great display, but the real winner is the design. In the battle of these two giants, HTC One takes it. The HTC One offers a wider range of features and comes with great connectivity, a stunning display, plenty of power. However it feels like it could be faster in daily use and the unique features of the heart rate sensor and fingerprint scanner may well get turned off and ignored. As per price, the HTC One is available at Rs 24,990Â INR and the Lenovo X900 available in India at a price tag ofÂ 24,000 INR.